Available in multiple colors' makes it easy to personalize your device to your liking. 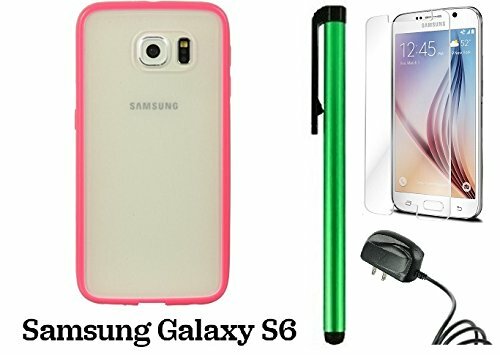 SAMSUNG GALAXY S6 combines style and protection' with its appealing colored border and transparent rear cover' the candy case is the perfect compliment for your device. Constructed of high-quality hard-shell rear cover and surrounded by a shock absorbent TPU border' it can withstand sudden impact and accidental drops. Furthermore, the case also functions as a stand, which enables hands-free viewing of your device. Form-fitting design provides a perfect fit and easy access to all device features' such as the charging port' audio jack and buttons. Slim and durable material provides the user with a reliable and comfortable grip. If you have any questions about this product by WAM Samsung Galaxy S8, contact us by completing and submitting the form below. If you are looking for a specif part number, please include it with your message.